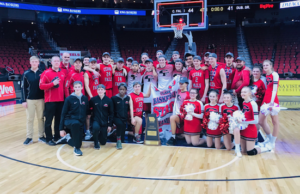 On Monday, the men’s basketball team hosted Marshalltown High School in the first round of class 4A substate playoffs. Marshalltown had just 3 wins coming into Monday’s game. The Tigers took advantage of turnovers and open looks and jumped out to a fast start, leading 49-13 at half. By rule, being up 35 issued the running clock for most of the third and fourth quarters. The starters didn’t see the floor much, or not at all in the second half. AJ Green had 14 at half, followed by Isaiah Johnson and Logan Wolf who finished with 10 and 7. Cedar Falls has a 15-7 record including a win earlier in the season at Cedar Rapids Prairie, who they face next in the semifinals. Both teams like to shoot the three and put up lots of points. Cedar Falls has made 118 threes this season, and averages 62 points a game. “At this time of year, we don’t need to build it up too much because our players know the stakes. Right now, there is a good feel in our practice sessions. Our guys are focused, and they are coming to practice with a sense of urgency. It’s a fun time of year,” coach Ryan Schultz said. Prairie has a 14-7 record and 11-5 in conference play. They have shot 48 percent on the season with 41 percent from three point range. They had a first round bye, so Cedar Falls will be their first matchup. The coaching staff knows what they need to do to get the win. “Cedar Rapids Prairie is a very good team. They are an excellent shooting team, and they also have some guys that can break you down off the dribble. We will need to try to limit their open looks from the three point line and contain their guys who penetrate without fouling and putting them on the line,” Schultz said. 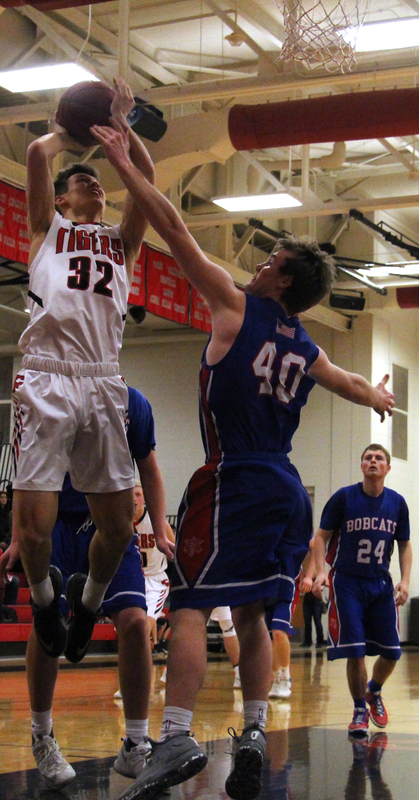 One of Cedar Rapids’ weaknesses is rebounding, averaging just 22 a game compared to Cedar Falls 34. If the Tigers can take advantage of that stat on Friday, it would be a big step toward advancing to the semifinals. The game at Cedar Rapids Prairie starts at 7 p.m. Friday.